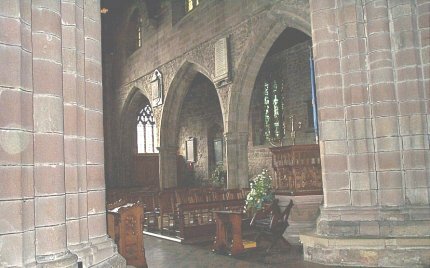 View from the Nave looking North West towards the North Nave Aisle. The pulpit is on the right. The massive columns support the Tower.